21 Day Metabolic Reset Review (2019) - 20 Pounds in a Month? 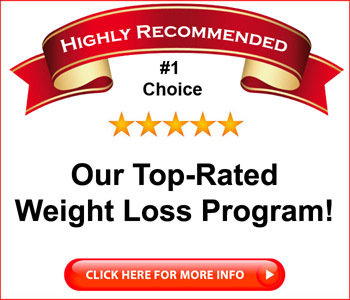 21 Day Metabolic Reset Review – 20 Pounds in a Month? Weight loss is a popular search topic on the Internet, and so is “fat loss.” But what people really want is to lose weight quickly, and “fast weight loss” and “rapid weight loss” are among the most popular search terms on the Web. They’re also evergreen, in that people search for those terms day in and day out, year after year. People want to lose weight, but they want to lose it now. Michelle Thompson offers just that in her program called 21 Day Metabolic Reset. In that course, she says she can show you how to lose 20 pounds in a month, and her site has testimonials from people who lost either more weight or lost it even faster than that. That sounded promising, so I decided to take a closer look. 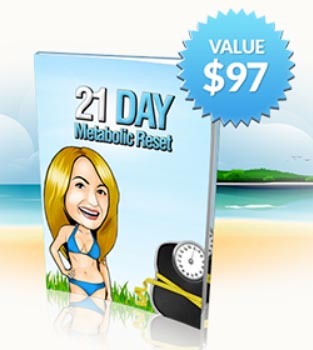 Is 21 Day Metabolic Reset a scam? Click here to visit the 21 Day Metabolic Reset Website. Read on for the full 21 Day Metabolic Reset review. The main 21 Day Metabolic Reset book itself is 76 pages. It’s interesting to note that the product appears to have been recently rebranded; the course was apparently originally titled “21 Day Holiday Diet.” The title doesn’t matter, as the contents are the important thing. At some point soon, Michelle will probably retitle the books to match the current name. The 21 Day Metabolic Reset book has since been restructured; the chapter about Simply Delicious Recipes has now been spun off into a separate book called Meal Plans and Recipes that is included in the course as a bonus. The early parts of the 21 Day Metabolic Reset course discuss how the body stores energy and how fat is stored and burned. You’ll learn about the importance of a hormone called leptin and how it can impact your ability to lose weight. We’ve found that a number of weight loss products, including 21 Day Metabolic Reset, discuss leptin and address the body’s seeming inability to produce it as you get older. Many diet plans include a “cheat day,” where you can more or less eat what you like, but the 21 Day Metabolic Reset diet is the first one I’ve seen that allows you to start the diet with a cheat day. Of course, the diet consists of a rotating five day schedule, so once you get going, you’ll get a cheat day every five days. The third day consists of five protein shakes. These shakes will be enhanced with fruit or nut butter. While they’re not meals, the protein shakes will likely be filling. Michelle provides a link where you can purchase the protein powder. Day four consists of eating carbs in moderation. Michelle provides plenty of recipes for these days, which might consist of something like an egg white burrito with beans, cheese and salsa or a salad with tuna. Day five is protein intensive, so you’ll be eating lots of fish and poultry, along with salads and vegetables. That’s the five day plan, and you rotate it for roughly three weeks, going from cheat to fast to shakes to carbs to protein. 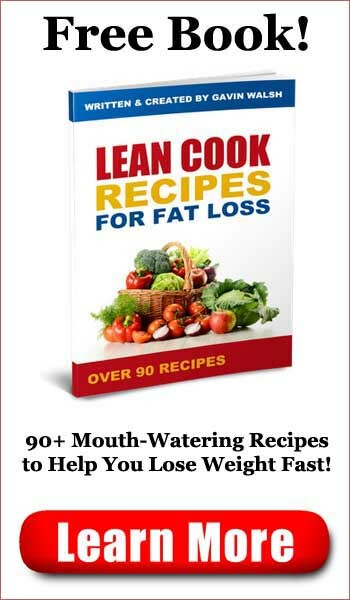 The Meal Plans and Recipes book gives you a step by step, day by day meal plan, complete with recipes for each meal. This includes recipes for the protein shakes, which can get pretty boring by themselves. That’s why Michelle includes recipes for such things as the Berrilicious Shake, which includes two types of berries in addition to the protein powder. The meal recipes include Baked Miso Chicken and Honeyed Beef Skewers. The Workout Manual includes accompanying day by day workout routines. These are fairly intensive and would require that you own exercise equipment or have access to it at a gym. While losing weight without exercise would be nice, you’ll find that you will be more successful if you adopt (and stick to over the long run) a regular workout regimen. This 36 page workout book provides you with specific workout instructions for the full 21 days. The Success Journal allows you to keep track of your success with the 21 Day Metabolic Reset. You start by listing your measurements and weight on the first day and you keep track of what you ate, what workout you did that day and how you felt at the end of the day. Tired? 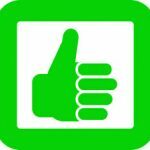 Good mood? You keep a journal and monitor your progress as you go. All in all, the 21 Day Metabolic Reset offers a plan that will likely help you lose weight if you try it and stick to it. Is 21 Day Metabolic Reset a scam? No, it’s a solid program that will likely help a lot of people lose weight if they follow it to the letter. Not everyone will enjoy the fasting day followed by a day of all protein shakes, as that’s basically two days in a row of nothing but liquids. On the other hand, if you stick with it, it will probably work. You do get a cheat day every five days. While the 21 Day Metabolic Reset diet isn’t for everyone, it should produce some good results. I’d recommend checking with your doctor before giving it a try. 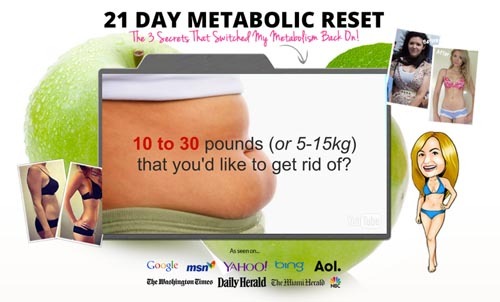 21 Day Metabolic Reset is recommended.